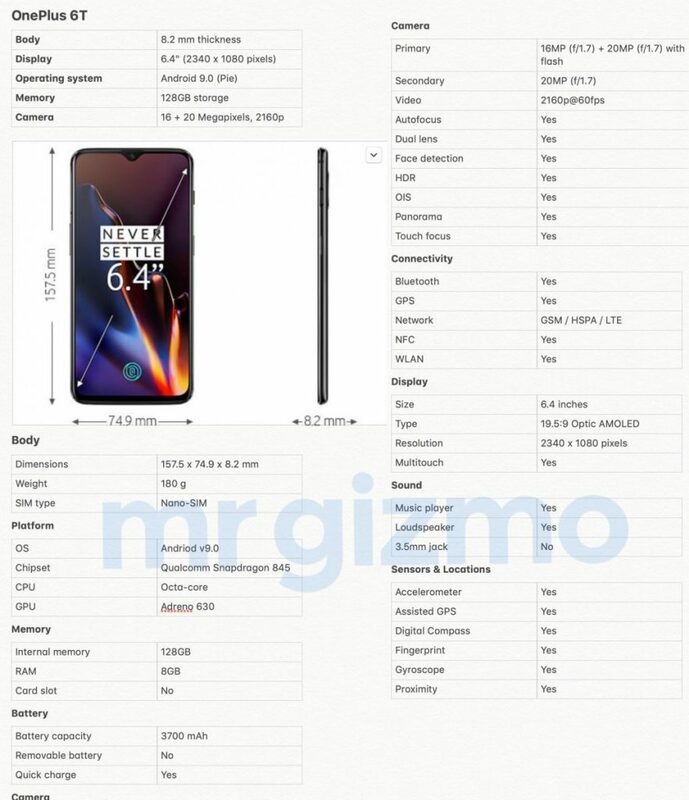 OnePlus 6T full specs and images have been leaked yet again just a couple of days before its official unveiling. 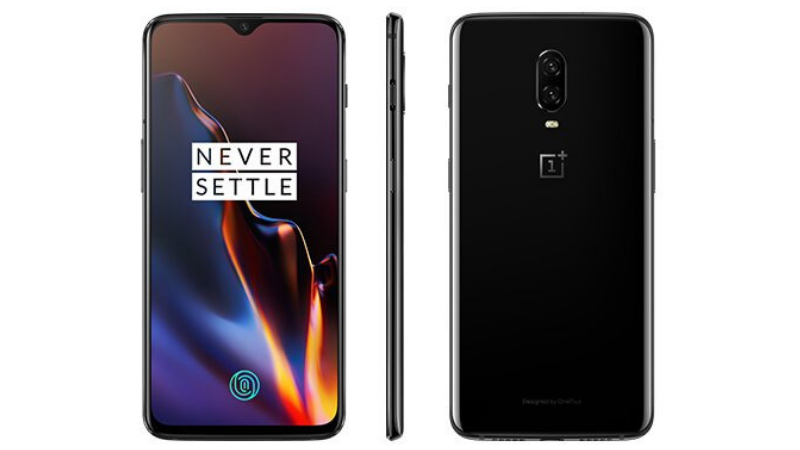 The upcoming OnePlus flagship has been leaked in a fresh set of leaks from a tipster that show us the alleged specifications and images of the OnePlus 6T. 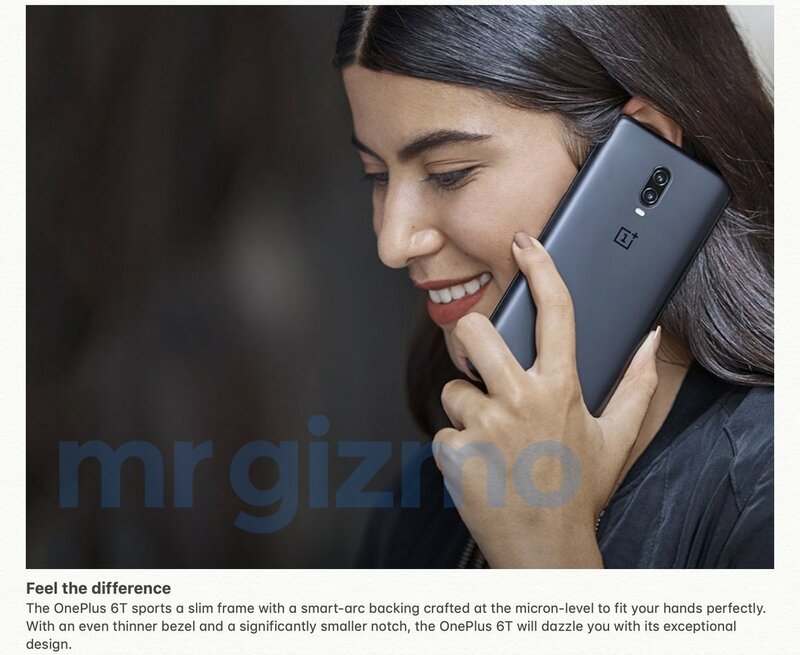 According to the leaked specs sheet by tipster Ishan Agarwal on Twitter, OnePlus 6T will come with several improvements over the OnePlus 6. Apart from the specs sheet, some promotional images of the handset have also been posted that show its in-display fingerprint sensor, waterdrop notch and more. 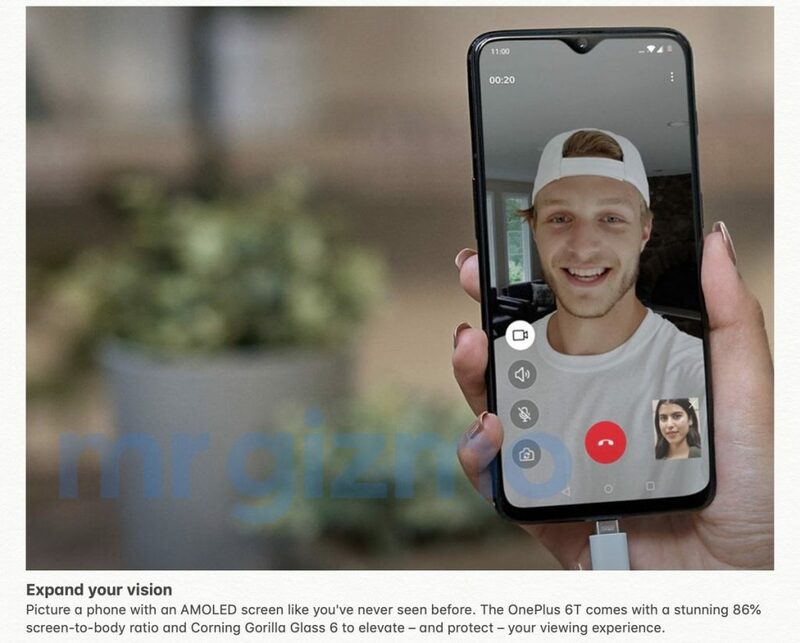 As per the leaks, the OnePlus 6T display sports a 6.4-inch FHD+ (1080×2340 pixels) Optic AMOLED panel with 19.5:9 aspect ratio and a new waterdrop notch. The OnePlus 6T will be running Android 9.0 Pie out of the box. It will be powered by the Snapdragon 845 paired with 8GB of RAM. However, there could be 6GB RAM option as well just like previous models. As per specs sheet, it comes with 128GB of internal storage without microSD card slot support for expansion. In terms of camera, the OnePlus 6T will feature a dual rear camera setup with a 16MP primary sensor with f/1.7 aperture and a 20MP secondary sensor with f/1.7 aperture. Up front, it will have a 20MP camera with f/1.7 aperture. The camera features will include Face Unlock, HDR, OIS and more. Connectivity options will include 4G VoLTE, Bluetooth, GPS/ A-GPS, and NFC. Sensors on the smartphone will be an accelerometer, compass, gyroscope, and proximity sensor. A few other features that have also been confirmed by the company are an in-display fingerprint sensor, no 3.5mm headphone jack, and a 3,700mAh battery. It is to be noted that all the above-mentioned specs are not official and are based on a leak so these details should be taken with a grain of salt. 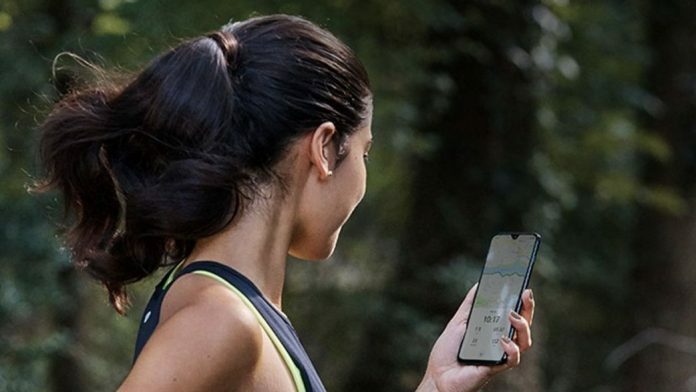 The OnePlus 6T launch in India scheduled for October 30 while its global launch is on October 29. What does the future have in store for digital advice?